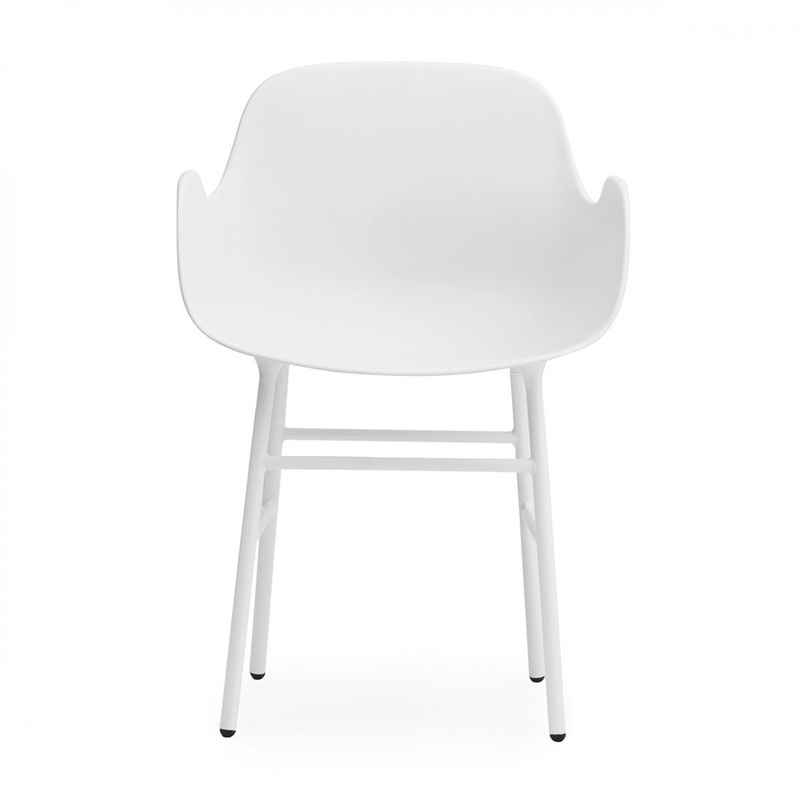 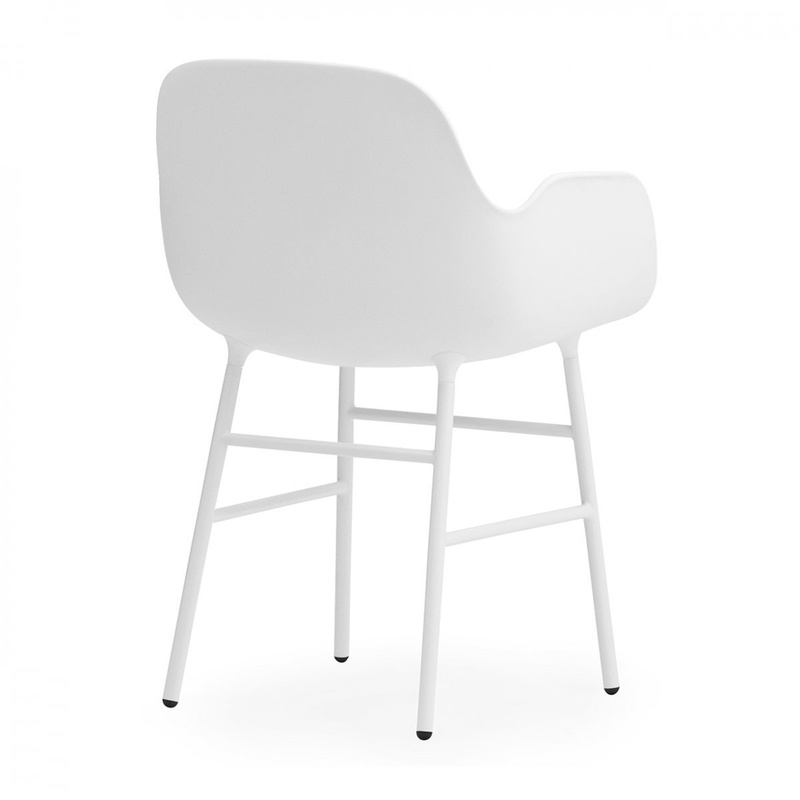 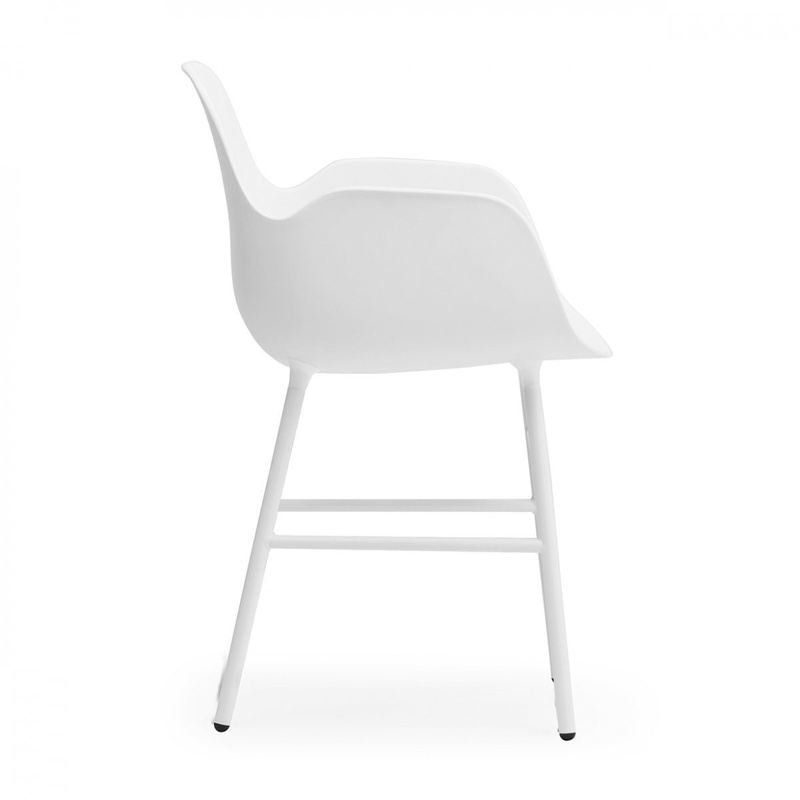 Steel Form armchair by Normann Copenhagen: very comfortable, very modern. 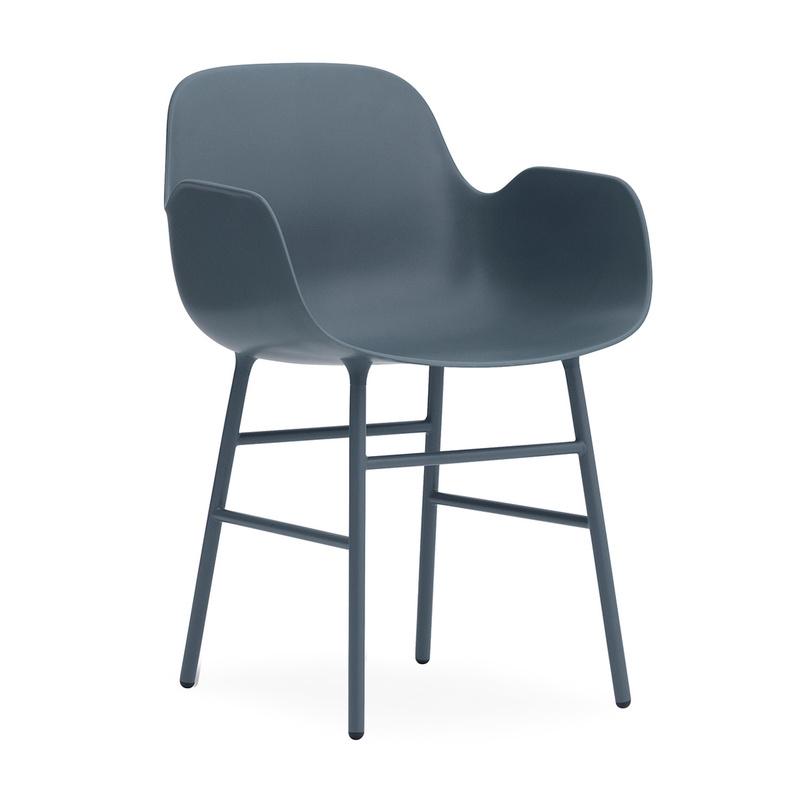 The steel Form armchair is a creation by the brand Normann Copenhagen characterized by great modernity: original and lively, this piece of furniture is specifically designed for spaces that feature a contemporary or even minimalist interior design. 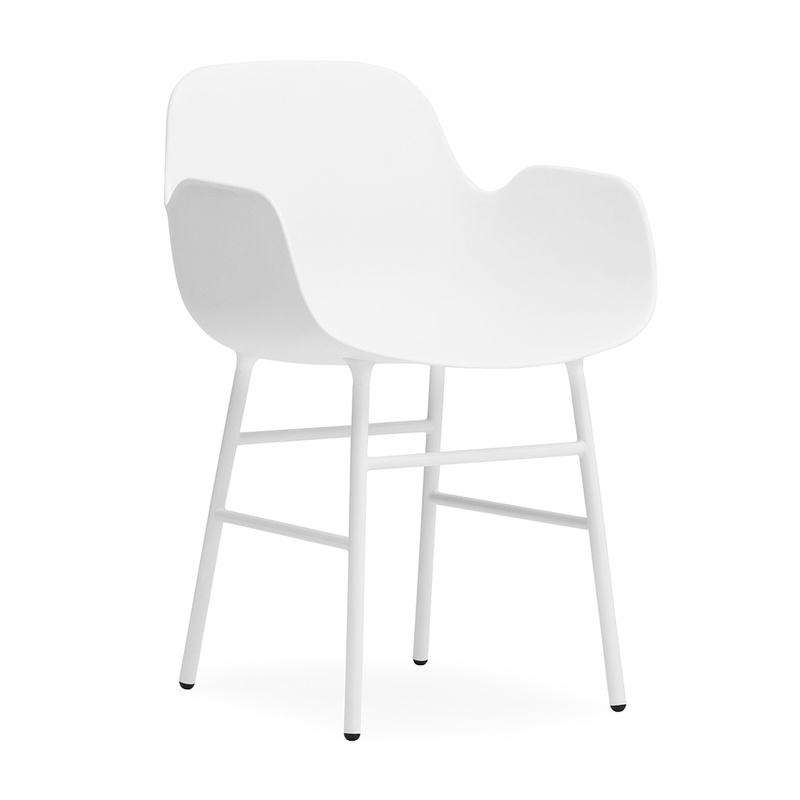 Normann Copenhagen created this chair with soft, harmonious lines, which contrast with the sharp and geometric lines of the supports. Steel, as known, is one of the most resistant materials per excellence, therefore this armchair knows how to ensure great resistance and is intended to preserve itself impeccably over the years even if subjected to everyday use. The steel Form armchair by Normann Copenhagen deserves to be considered a true universal chair. 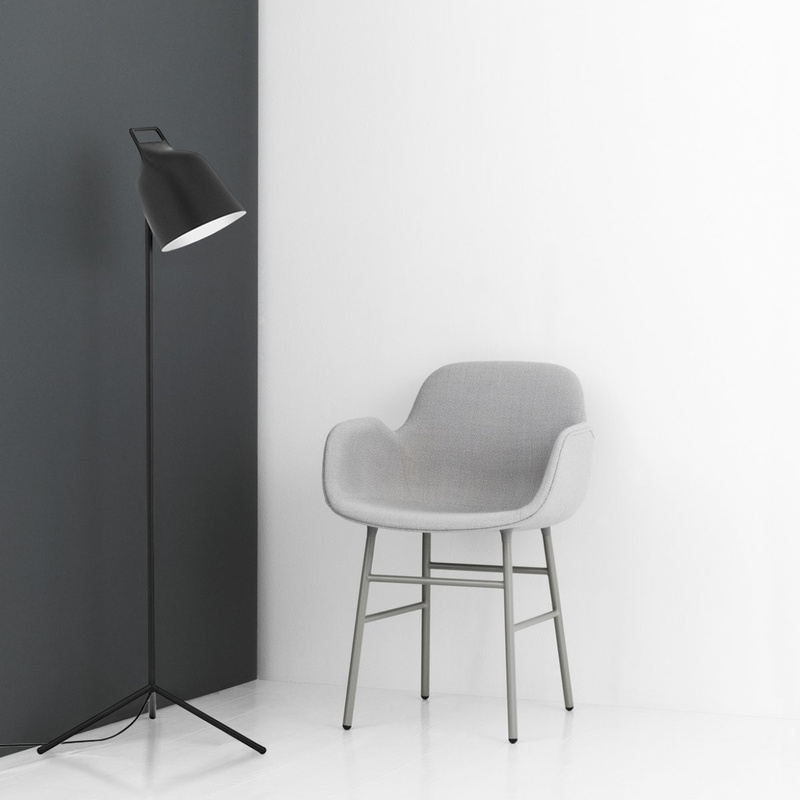 Form can be associated with a table, maybe in a dining room or a living room, can be combined with a desk, in a studio or a bedroom, and may also represent the ideal piece of furniture to decorate a waiting room, in an office or in a professional studio. Although it is a subject of great innovation and stylistic personality, this armchair proves to be flawless from the point of view of comfort: in contrast to other contemporary models, in which many time design is put into the foreground at the expense of comfort, Form ensures optimal comfort. It must be stressed that Normann Copenhagen offers the Form armchair also in other variants, both in terms of colours and materials used, therefore, it could be a very tempting idea to match different models, maybe in a room full of colours and with a very original style. 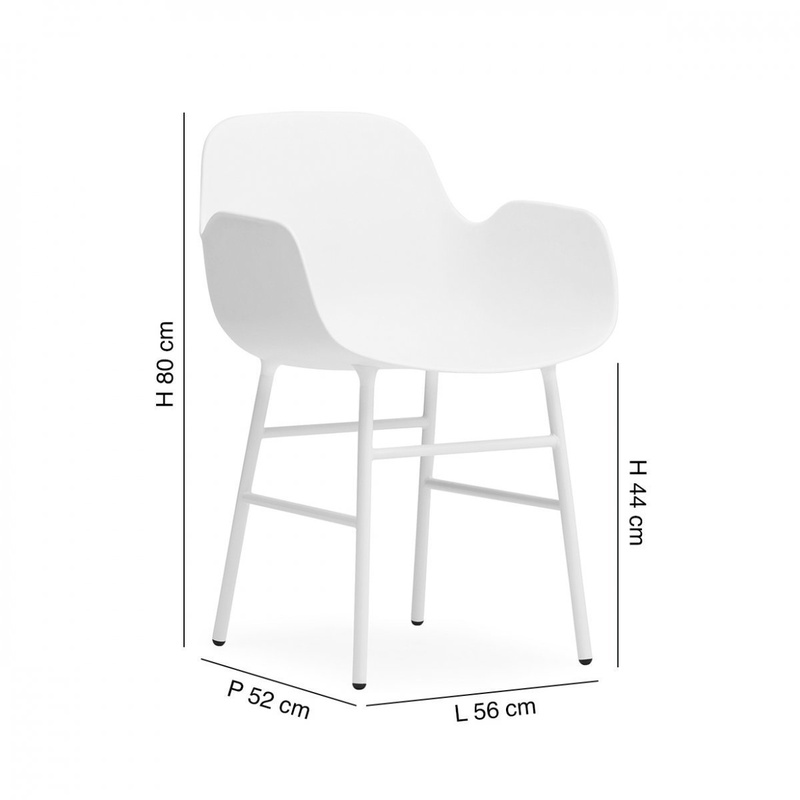 Information: the chair is supplied assembled; clean with a damp cloth; the height of the armrest is 65,8 cm.